FIFA has said Spartak's punishment is up to the Russian FA. FIFA has condemned Spartak Moscow after the club posted an offensive message on their own official Twitter feed on Saturday. The Russian side tweeted a video of black players training in the sun with the caption translating as: "See how the chocolates melt in the sun." It led Piara Powar, the chief of anti-discriminatory body Fare, to tell BBC Sport: "Racism is one of the biggest issues Russia faces in the year they host the World Cup. References like this show how some minorities are seen by some in the country. "For Russia's biggest club to tolerate and then celebrate racist references of this kind is wrong." The tweet, which was posted during the club's warm-weather training camp in Dubai, was only taken down after several hours. 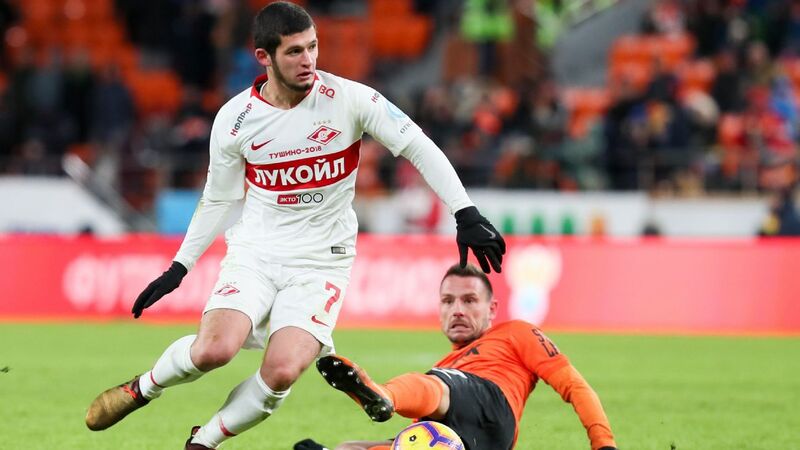 It sparked widespread criticism and, in a statement to Sky Sports, FIFA said it "condemns the message published on Twitter account of Spartak Moscow." The statement added: "As said many times, any form of discrimination on or outside the field is unacceptable and has no place in football. "Please note that, at its meeting in May 2017, the FIFA Council emphasised that member associations and referees should be ready to adopt a strict policy to deal with incidents of racist nature." Anti-discrimination group Kick It Out said: "This social media post from the official account of Spartak Moscow only continues to highlight the prejudices towards black people in Russia. In September, UEFA charged Spartak after Liverpool forward Bobby Adekanye was subjected to racist chants and gestures in Moscow during a UEFA Youth League game. The club had to partially close their academy stadium, leaving 500 seats empty, for the next Youth League fixture. Spartak's Leonid Mironov has also been charged with racially abusing Liverpool striker Rhian Brewster. The alleged incident took place in December in a match Liverpool won 2-0. UEFA said its Control, Ethics and Disciplinary Body would deal with the case, but a date has yet to be confirmed.